maybe i should try a 55watt. 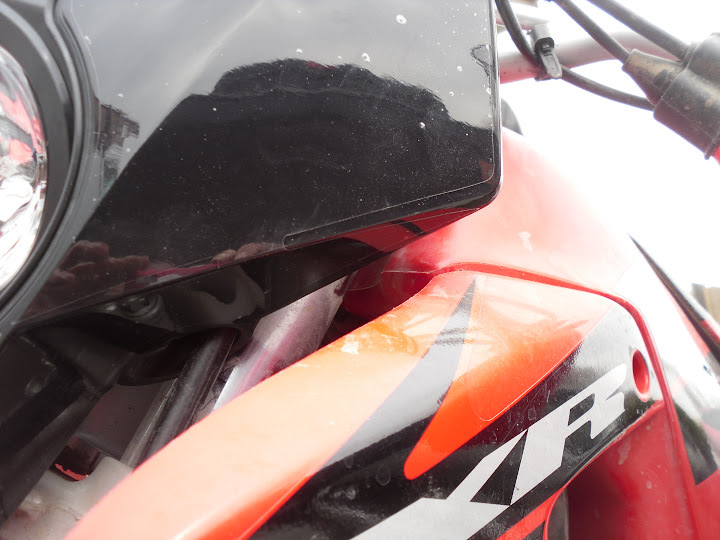 surpriserider wrote: trail tech's lights are another option. I've got the hid version and they are amazing over the stock lights. 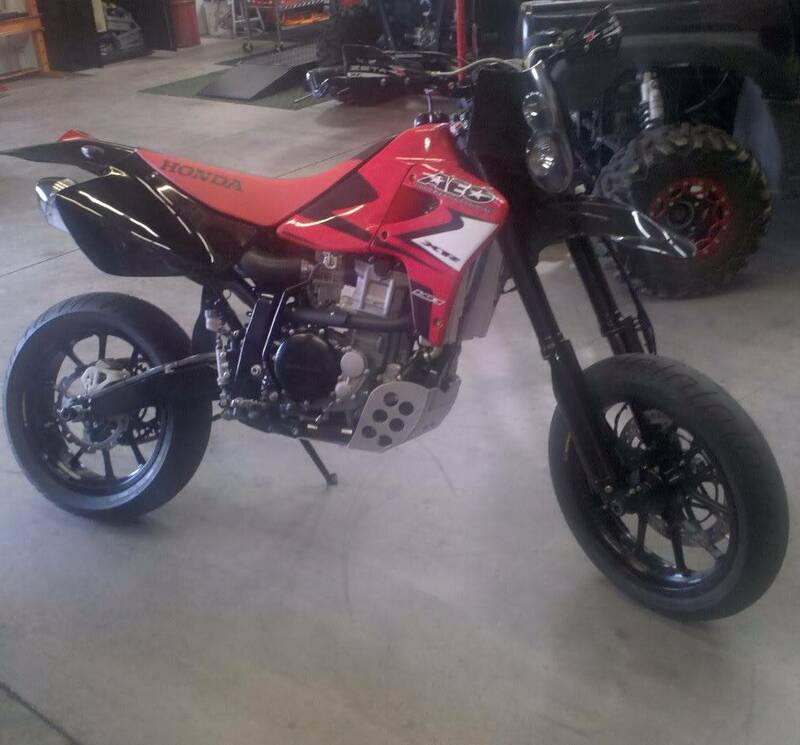 This bike looks really nice!!! 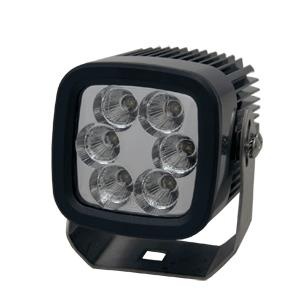 Ive got the X2 as well but just halogen. 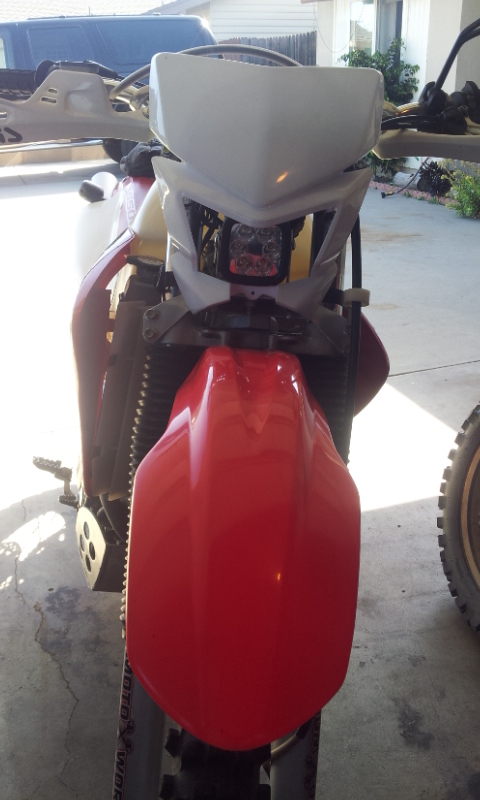 I want to see more pictures of the headers. 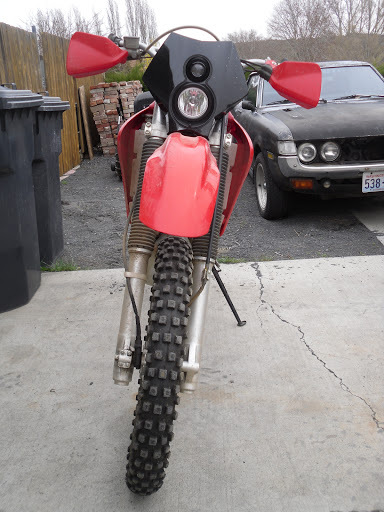 I think I want some like those but I have the IMS 4.6 and am not sure if i can have headers come down the left side of the bike like that. 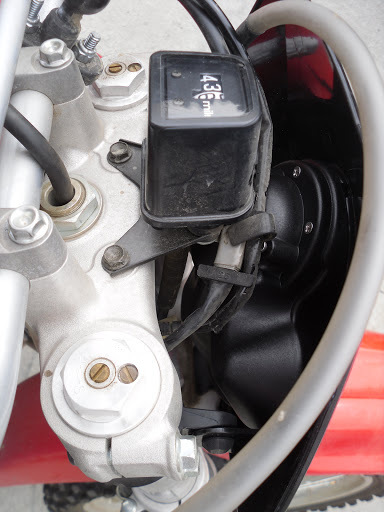 Also what is different about the intake tube that i see. I am not able to PM yet so I hope supriserider sees this. 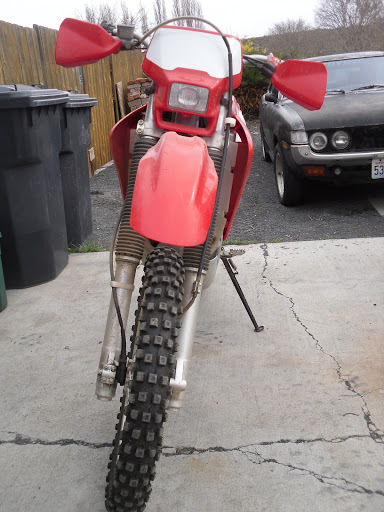 The straps are a bit loose, I may have to shim it around the fork tubes or try using the stock light straps. Can't wait until I get all my parts in and can wire it up! 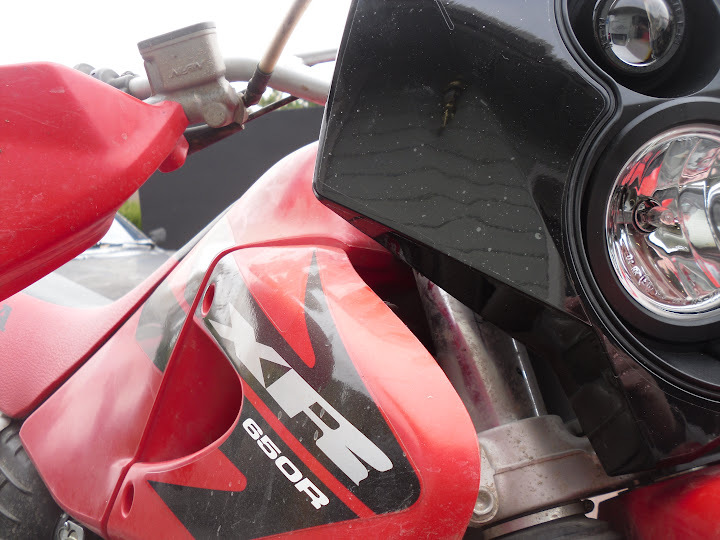 Here is the light I mounted on my XR behind the headlight shell. I love it. Super bright and under $50. 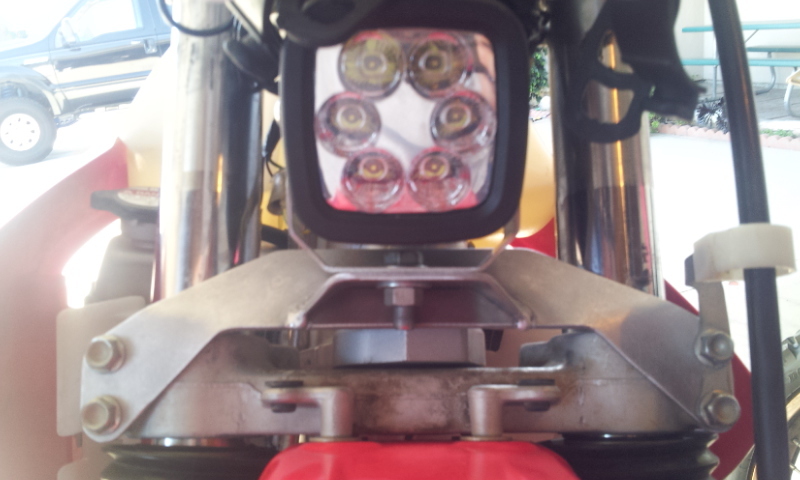 spdnjoe wrote: Here is the light I mounted on my XR behind the headlight shell. I love it. Super bright and under $50. Yo, spdnjoe, where did you find that light for under $50? I got them from DDM Tuning right next to my house in Huntington Beach, Ca. @Mauser....We do with what we can afford. Not the prettiest but works great ! Most people will run away when they see me so i live happy quiet life . You get the picture right ? I've got it from a very reliable source (my mom) that I'm hugly. Been doing a lot of night riding. Very very happy with the outcome. This light is very bright and lights up the sides of the trails pretty decent too. That is good news but what about the ugly members ? OK, I won't post anything mentioning 'pretty member' OK? Thought you would turn back into a pumkin if you were out after dark Fruity ? Actualy i turn in to something like a wolf , but that is another story . Me: "Are you affected by a full Moon?" This is my actual setup but i'll improve it with another extra led side by side for night race competitions. Frosty, this a 15º light (similar to a maximum light). I'll be adding a 45º (medium). I have no comparison to 2 x 5" HID light but works great for me.